The zero and the decimal comma; if it were not for them mathematics would not have been developed, calculators and computers would have never been invented and modern civilization would not have evolved!! The zero was added to the group of natural numbers by the great scientist Al-Khawarizmi. The decimal comma was created by the most significant mathematician in the ninth century AH Jamsheed Bin Masoud Al-Kashi, also known as Ghiyath Al-Din, who was described by some as the true inventor of the calculator. Being one of the leading companies in Jordan and the area in the field of digital solutions and information technology, and since its establishments in 1992, COMSOFT has perpetuated those remarkable achievements by giving the name “Jamsheed” to its series of modern computerized programs that the company is famous for developing, including mainly Jamsheed Program for Accounting and Management, which allows ease of operation and high flexibility, thus meeting the needs of different commercial, industrial, service and constructional institutions in light of the accelerating changes encountered in the business sector worldwide. Because Jamsheed covers all work aspects required by any newly founded institute such as accounting, accounts payable and receivable, inventory, payroll, human resources, time attendance, fixed assets and point of sale. Because Jamsheed allows investors to use only the applications that suit the nature and size of their investments out of all available applications, which contributes to decreasing the financial cost. Because Jamsheed is bilingual (Arabic / English). Because Jamsheed uses multiple currencies, where listed data can be handled with an unlimited number of different currencies. Because Jamsheed provides users with instant assistance options through “dialogue boxes” that include usage instructions specific to each of the program’s commands, formulated in simplified steps in both Arabic and English. Because Jamsheed guarantees data security by limiting the authority granted to each user within the user network. Because Jamsheed allows more than one user within the user network to review and use the same data concurrently. Because Jamsheed allows working with several divisions and projects within one company, with the possibility of including secondary divisions under each main division. Because Jamsheed allows working with the accounts of more than one company at the same time (up to 99 companies), where an individual account is created for each company, with the ability to extract one unified budget sheet for all these companies based on specific unified accounts. Because Jamsheed allows each company open usage of the program for an unlimited number of years. Because Jamsheed allows viewing more than one screen and working on all of them at the same time. Because Jamsheed facilitates daily follow-up on customers, suppliers and inventory through special ledgers completely connected to the general ledger. Because Jamsheed can handle payments done in advance whether collected or paid by customers and suppliers through sales and purchase orders. Because Jamsheed provides an actual connection between the inventory system and the accounting system concerning item assembly and disassembly transactions, item IN/OUT transactions, sales and purchase invoices, and sales and purchase returns. Because Jamsheed involves visual control of the chart of accounts. Because Jamsheed allows calculation of inventory material cost using FIFO, LIFO and Weighted Average. Because Jamsheed automatically calculates income tax, social security and all other salary deductions and allowances, and continuously follows up on modifications applied to these deductions’ rules and regulations. Because Jamsheed enables the decision maker to extract over 140 different statistical reports. Because Jamsheed includes two methods of transactions posting: temporary and final. Because Jamsheed is compatible with Microsoft Windows 98, 2000, NT, XP and Vista. Because Jamsheed includes a payroll system and a human resource system that are both completely connected to the accounting system, as well as another system specialized in calculating fixed asset depreciation, each asset individually, with all required detailed statements. • Technical support through field visits or over the phone. • Free warranty and maintenance for a year from the date of purchase. • Possibility of updating the program and adding any new applications or modifications for a limited cost suitable to the size of the required updates. 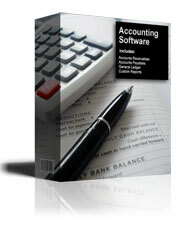 • Follow up on the latest developments in the accounting field and their inclusion in the program’s applications.